John Oliver’s Catheter Cowboy is back, and this time he’s trying to get Donald Trump to reconsider his stance against the terms of the Iran nuclear deal. On Sunday, the HBO host went hard in support of the current agreement with Iran, going so far as to blow up a nice-looking American family who was just trying to enjoy dinner to make his point. Oliver even nuked that intolerable Kars 4 Kids TV ad — and he showed no remorse for it. “I’m glad those children are dead,” the “Last Week Tonight” show host said after dropping the big one on the annoying band of youngsters. Speaking of commercials, Oliver’s got a new one that is directed at our commander in chief. The “Daily Show” alum just bought time on Fox News Channel’s “Hannity,” in hopes that regular-viewer Trump will catch the spot. Watch the commercial via the video above — it’s set to run Wednesday night in the Washington, D.C. market. That ranch hand who doesn’t want pain when he caths has got some range. 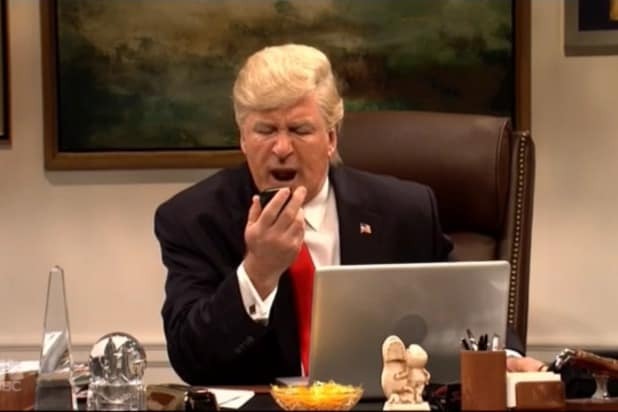 Later in the same 21-minute segment, the British comedian calls National Security Advisor John Bolton a “superficial a–hole,” among other names. Yeah, there’s plenty to see here.